Those milestone moments! Such sweet memories! 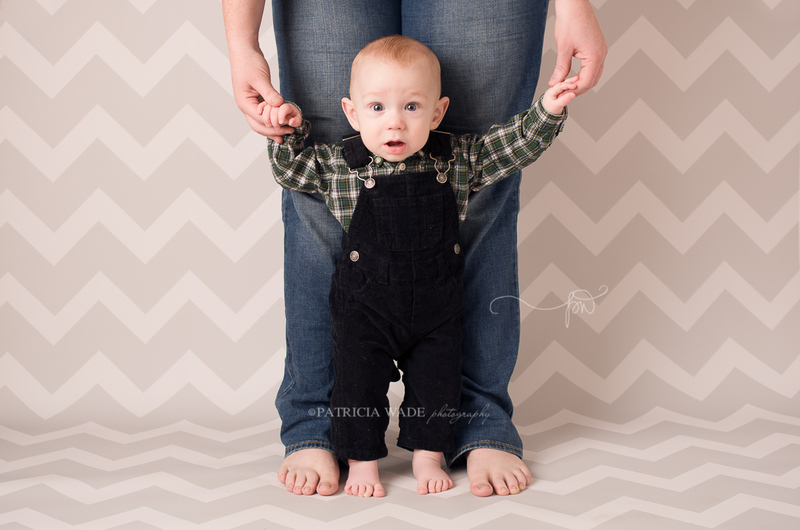 This little guy has been coming to my Family, Children and Newborn Photography Studio in Midland since before he was even born! Then he rocked his newborn session. And he’s been showing off his cool new accomplishments all through his Baby Plan Milestone Sessions. Super fun! Milestone sessions are usually scheduled to coincide with the developmental milestones, and I love to incorporate parents in the little moments that they might not ordinarily get to photograph themselves. These memories are important! Filled with dozens and dozens of unique backgrounds, my West Texas Photography Studio is well equipped to take your baby through 3 or 4 completely unique sessions to create a beautiful photographic record of his or her first year. I typically use 3 backgrounds or sets for each session, for added fun and variety. And most clients opt to include a cake smash at the fun, one year session! Booking early is always recommended, as the studio schedule fills quickly. Contact me at [email protected] or send me a message through my CONTACT ME form. I look forward to creating beautiful photos of your family’s sweet memories.. In between all these sweet posts, I want to take a moment to talk about specialization, and why it’s important when choosing a newborn and maternity photographer. It’s more than just a love of babies. And it’s more than having cute little props. It’s about choosing a field of photography that requires a whole lot of education and expertise, and despite the commitment and expense involved, pursuing it exclusively in order to create the most beautiful images and experiences for new parents. 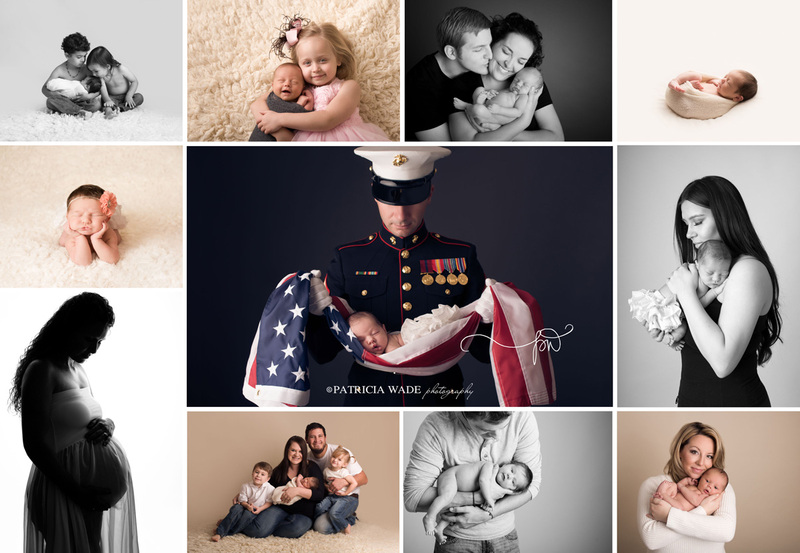 Because truthfully, in order to do newborn and maternity photography extremely well, it does require focusing on them. Babies grow and change so fast, particularly newborns. So the photographer you choose will generally get one chance to get that moment right, to beautifully and artfully capture those brand-new memories and details. Choosing a professional photographer specializing in newborns is an important part of ending up with an enjoyable session experience and a gallery of portraits that you cherish forever. And specialized newborn photographers will also ideally have a safe and stocked newborn studio, with everything needed to create a variety of customized sessions. In any newborn studio, a large assortment of blankets, furs and wraps are a must, flooring and background options, along with buckets, crates and bowls for posing baby. Also needed is a soft posing area for posing baby in those sweet, curled up poses, as well as a large backdrop area for portraits with parents, baby, and any siblings. And let’s not forget all the colors and shades of wraps, hats, flower headbands, and other little odds and ends to round out every custom newborn session. Also add some cozy seating for parents, and a well-stocked diaper changing area. And that’s just the stuff needed for newborns! Exquisite, flowing gowns and fabrics for mamas are essential options for those stunning maternity portraits! It’s handy that the baskets, buckets and furs transition perfectly into props for baby’s milestone sessions, too! Don’t even get me started on education and safety. Because honestly, every newborn baby deserves to be handled and posed safely, knowledgeably, by someone who understands newborn physiology and has experience handling newborns and posing them. It really is so much more than placing a baby on a blanket – it takes years of expense and study through workshops, and dedicated practice to learn how to safely curl babies into those adorable poses. Not to mention education and learning how to beautifully light maternity clients, newborns and new mamas with their babies, and the art behind capturing genuine moments and connections for beautiful memories. 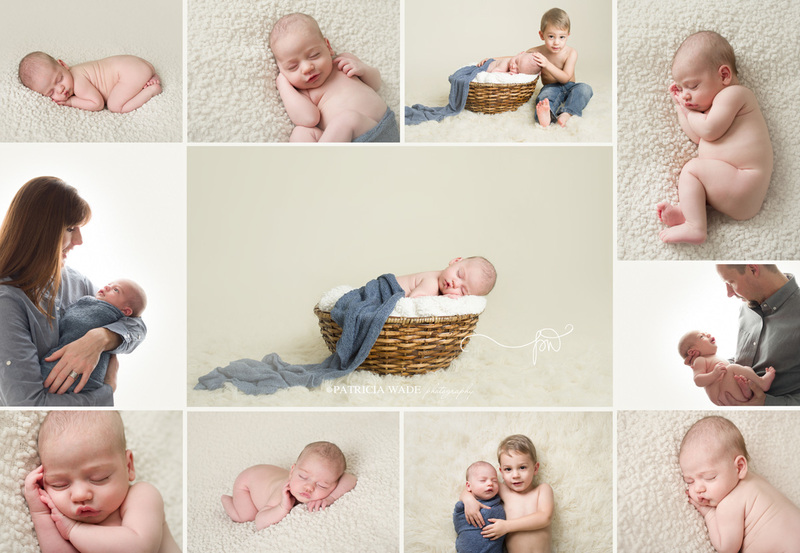 Newborn sessions are time-consuming, from the actual photography to editing. And because there is more time involved in a newborn session, newborn photographers must take fewer clients than photographers who photograph everything. Before every session, the studio must be cleaned and sterilized. And after every session, the newborn photographer has to wash all fabrics used, which also takes time, and usage+washing leads to wear-and-tear. Expensive studio equipment, fabrics, furs, wraps, backgrounds/backdrops and even props purchased to stock the studio will eventually wear out and need to be replaced. Newborn photographers spend hours every day leaning over babies to perfect those darling poses, and as a result, the physical toll can necessitate the need for chiropractic work and massage therapy. It shouldn’t be surprising, then, that newborn photographers who specialize probably also charge a bit more than other photographers, as well. They are paying for the studio space and everything needed to create unique sessions for every client, plus professional grade gear, workshops for continued education in their field, insurance, taxes, and so much more! And those who do not specialize in newborns and maternity are likely not going to have many of those things that truly set a specialized newborn and maternity photographer apart from the rest. It’s really no wonder that so few photographers truly specialize in newborns! Having photographed everything from weddings to pets, I have to admit that newborn photography is really the most arduous and challenging, and yet for the right photographer, it’s also the most rewarding. I love my job specializing in newborn and maternity photography, and I adore working with parents from maternity through their baby’s first year… and beyond. 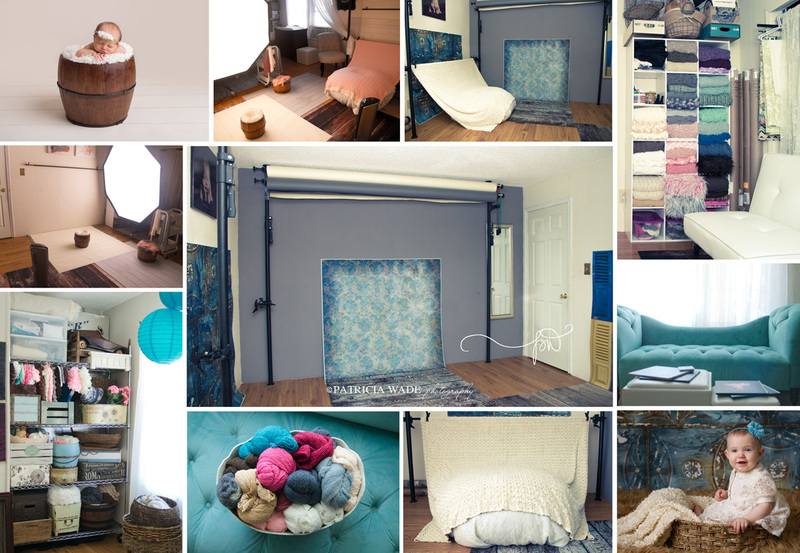 My Midland Odessa Newborn and Maternity Photography Studio is my little slice of heaven. Booking early is always recommended, in order to reserve your spot. Contact me at [email protected] or use the easy-peasy form on my Contact Me page. As a professional photographer specializing in Maternity and Newborn portraiture, my schedule is sometimes full months in advance. I’m looking forward to creating beautiful maternity and newborn art of some of life’s most precious moments for you.